Some of you have asked what I do with the leftover ingredients and elements from the dishes I cook for this blog. Some of the gels and puddings and sauces and juices, I try to use in other things. Sometimes they work. Sometimes they don't. I'll start telling you more about those experiences the next time I have something like that to work with. I've wanted to be better about that on this blog, and I've not been. Sorry 'bout that. Meantime, here's a little something I pulled together for lunch the day after I made the duck dish: a bowl of mache, with leftover grilled duck and butternut squash. I sauteed the squash in brown butter, and made a lime vinaigrette (olive oil, juice from a lime, salt, pepper, tiny blob of Dijon mustard). I also sprinkled a few of the curried pumpkin seeds on top. And yes... sometimes I have a little nip of wine with lunch here at home. That's a glass of Stag's Leap Sauvignon Blanc. In all, a great lunch, and pretty typical of the way I cook and eat from day to day. Any chance I get to sit at my table outside for a meal, I'll take it. Soon, the table will be tarped for the winter, and I won't see its loveliness again until after the spring rain subsides. 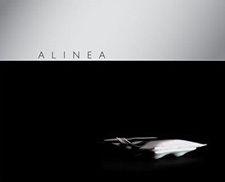 Chef Achatz has been having his team post some really interesting real-time updates to the Alinea Mosaic forum. One of the sous chefs in the kitchen is now doing a lot of R&D work for Grant and his team, and he's posting photos and write-ups of the dishes and elements he's working on on a pretty regular basis. Check it out if you can; some pretty interesting stuff there. Grant weighs in from time to time, and answers questions that forum participants have. It's interesting to see how dishes come about, and learn from some of the smartest in the business. For the last couple of months, Eight Forty-Eight food critic David Hammond has been using more than his palate to experience good dining in Chicago. The series, Soundbites, has taken you through a journey of the senses. His last stop is Alinea. As you might suspect, controlling sound is a big part of the cooking and dining experience at this restaurant, which many consider one of the finest in the world. Audio interview with Grant Achatz here. "Craft takes time, and therefore it is luxury. You cannot do an amazingly well-made garment without taking time—not just the time it takes to make something but also the time it took the maker to come up with the idea. That is all luxury, and that has been lost because we're trying to make things faster and faster, cheaper and cheaper. The consumer tends to lose track of what luxury is." The same applies to food, don't ya think? And how sad that luxury (when it comes to food) is a dirty word. Yummm....that salad looks divine. Roasted squash with a lime dressing is one of my faves. I make a dish with acorn squash and a chili lime vinagrette. SO GOOD. Really interested about your next post. I have fond memories of my dad going pheasant hunting and my mom roasting the bird. She would set the table with her favorite candlesticks and dim the lights. Quite a departure from our usual mid-week dinners. Can't wait to see where you get your pheasant from! You had me until the last two words of the post. Prepare your crying towel! I've got butternut squash coming out my ears right now. Nice to have yet another recipe. I too want to hear about the gel/foam/dehydrated foods redux. so happy i came across your site! looking forward to follow. I absolutely agree, the same thing applies to truly good food. Hi there. I just discovered your blog today and already, I think I may be in love! But seriously, folks, I came across your blog through reading a blog post on something called "The Pass," which was critical of food bloggers who cook from cookbooks then write about it, and this person mentioned you and your two blogs by name. Well, this person's piece rankled me enough that I responded with my own comment, and then right away checked out both your blogs, promptly adding alineaathome.com to my Favorites. Then I wrote a long-ish post on my own blog, defending folks who cook from cookbooks and blog about it, because, hey, cookbooks are meant to be cooked from, right? Anyway, this is all a very long way of telling you I am very glad to have found your blog, and please, keep doing what you're doing -- it inspires the rest of us home cooks out here!